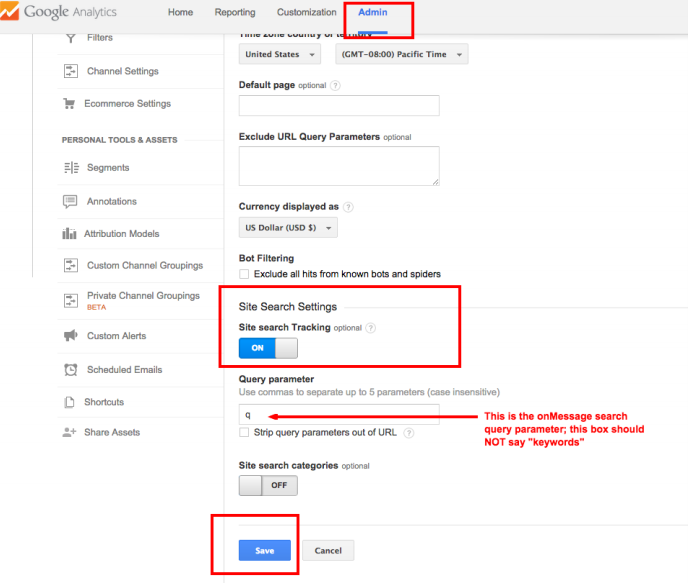 Here is a brief guide to Google Analytics. The following information covers "How To" and troubleshooting steps. * “Was Google Analytics installed on the old site?” — If not, it would not be immediately available on the new recoded/App site. 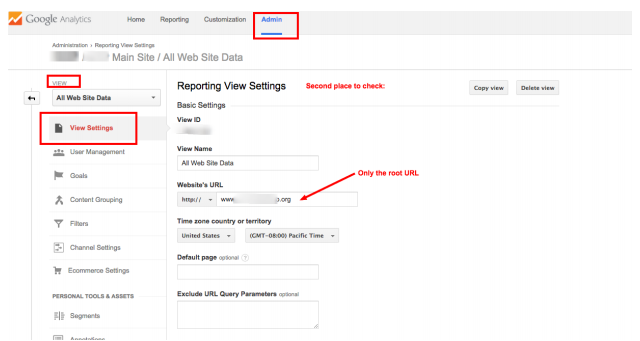 Google Analytics setup is controlled completely by school personnel. 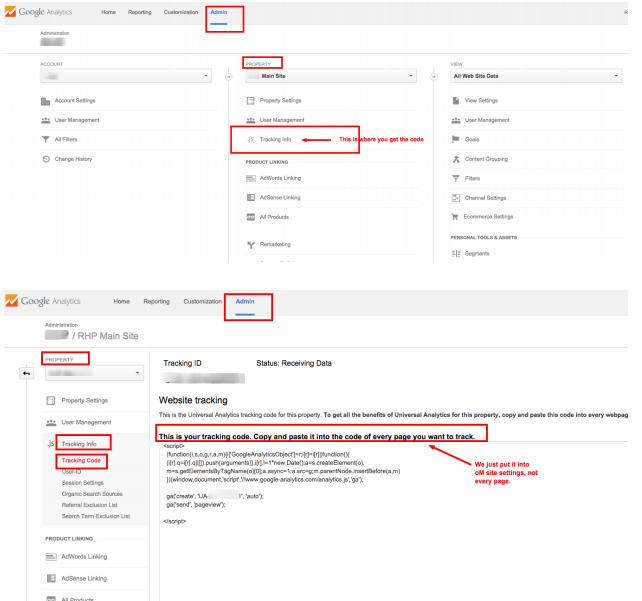 A GA (Google Analytics) account will need to be set up with Google first. Click here to connect with Google Analytics. *If the code exists on your old site, the Project Team will copy it from the “View Source” view of the old site and paste it in: onMessage > Main Site > Site Settings > Google Analytics box before launch. In order for Blackbaud/Whipplehill Support to help with GA, then we either need to be added as a User or given a login. Additional users can be added once logged in. Users are controlled under Admin > User Managementâ€‹. A flat line means something is amiss in the code. Either nothing was entered in onMessage before launch; the tracking code is wrong somehow; or the property settings are wrong in Google Analytics. First, go to onMessage > Website > Site Settings. 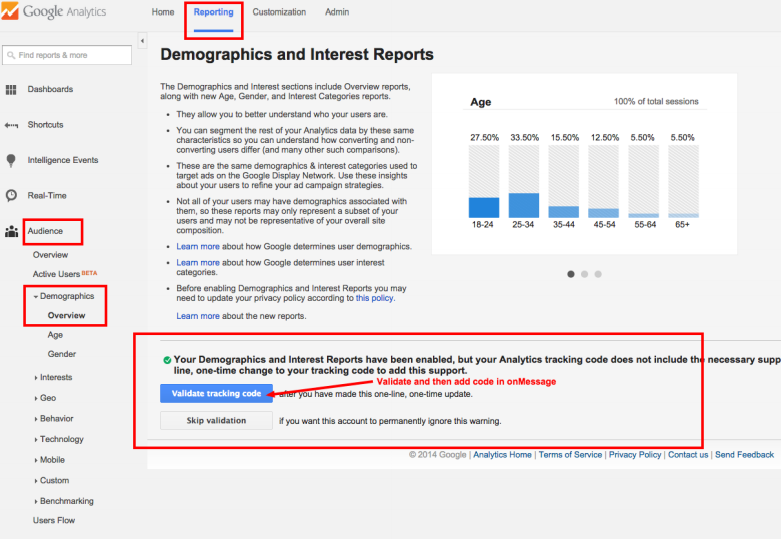 â€‹Is the code in the Google Analytics box? If yes, skip and proceed to step 2. If not, we will need the tracking code for your Google Analytics account. If the old site is no longer live, login to Google Analytics, get the tracking code and send it to Whipplehill for further assistance. If the code is in the onMessage site settings, then check the code itself in onMessageâ€‹. There is an important line of code with the account number in it. Look for this line of code: check to see if the ‘auto’ is there or if it has a URL in it. In order for Google Analytics to track Whipplehill sites correctly, this needs to read “auto.” If the URL is there, change it to AUTO, keeping the single quotes there. 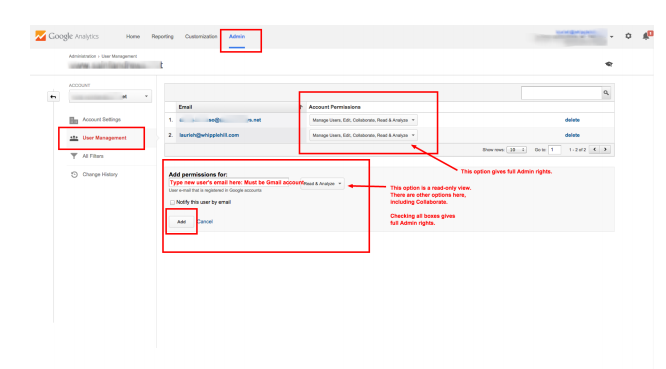 The important thing to remember, however, is that the Tracking Code in Google Analytics has to match what is entered in onMessage They cannot be different. 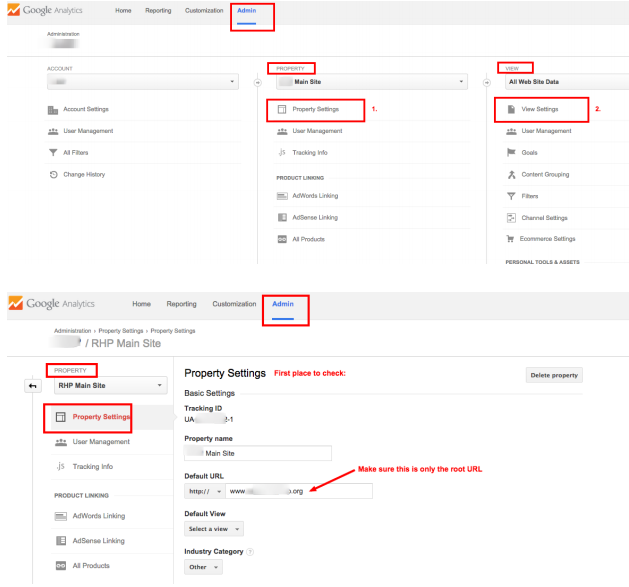 The next settings to review are the Property Settings in Google Analytics. The property settings should be set to the root URL only. Next, check to see if the new onMessage front-end site is being tracked. Go to Reporting > Behavior > Site Content > All Pages. Usually, “/page” is the first page in the list with data. This is the home page. If this is not the first page in the list, are there other “/page” pages in the list? Change the parameters at the bottom from viewing 10 pages to viewing 50, 100, or 250. Are any “/page” pages there in the list? If the answer is "No", then the new site is not being tracked. If this is the case, there may be a filter set up on the site that is messing up the data. Once a filter is set up to exclude or include certain data, IT CAN’T BE UNDONE (i.e., unfiltered). We recommend that schools have one set of unfiltered data, and then another account set up where they can filter data. If the filter is set up incorrectly and is excluding data from the new site, the school will most likely need a new GA code to get back to unfiltered data. Search tracking can be very beneficial to the school. This feature tracks what is typed into the search box on the front-end site. This is useful data to look at because it means the user is having trouble finding something. For example, if you see a lot of “calendar” searches, maybe it’s time to add a Calendar button to the Home Page. 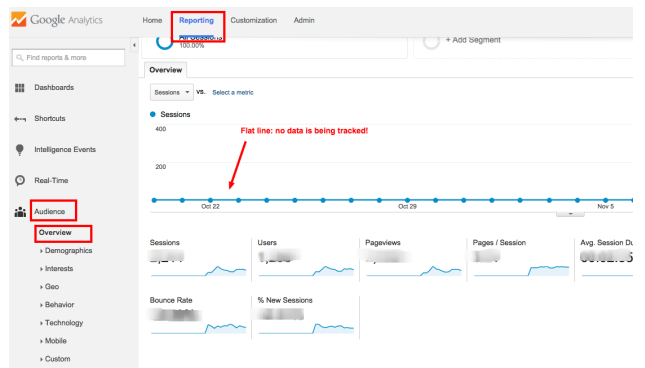 Once this is tracking, results will display in Reporting > Behavior > Site Searchâ€‹. Only the first 10 items will display unless the number of pages to view are changed at the bottom of the screen. Go to Behavior > Site Content > All Pagesâ€‹. Set the dates at the top right of the page to the full year (or however long the site has been live). Type ”Search-Results” (since this is the page that comes up with a search on the front-end site) in the Search box at the top of the table, and set the page view to 5000. Now, a report of the top 5000 searches on the site will display, which can be exported to a spreadsheet. The data can then be analyzed for site content changes (like the Calendar example, above). 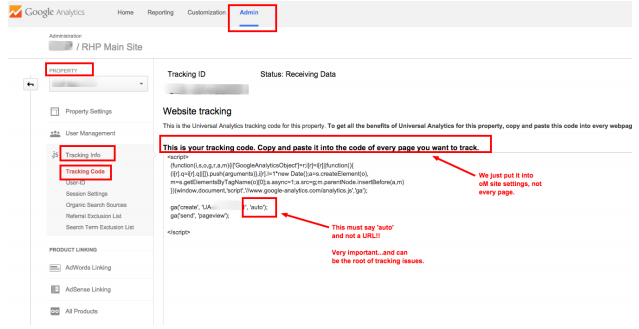 There are two types of GA tracking codes: Classic and Universal Analyticsâ€‹. Most schools use Classic, as Universal Analytics is relatively new and most schools have not gone through the Upgrade steps. Universal Analytics tracks demographics in myriad ways, and could be quite useful: Read More Here. to log in, enable the Universal Analytics and then validate it. Once it has been validated, the code in onMessage needs to have one line added to it. There is a document that shows the two sets of code and the difference between them: See Document Here. The correct process the school needs to follow is to Enable and Validate steps in Google Analytics first, then add the one line of code to onMessage in order for the data to be properly collected. Where can I enable the upgrade? There are three (3) steps in the process. 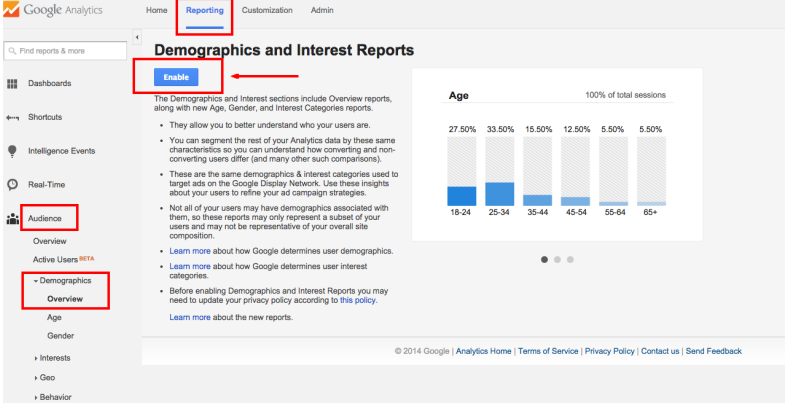 In Reporting, click on Audience > Demographics > Overviewâ€‹. 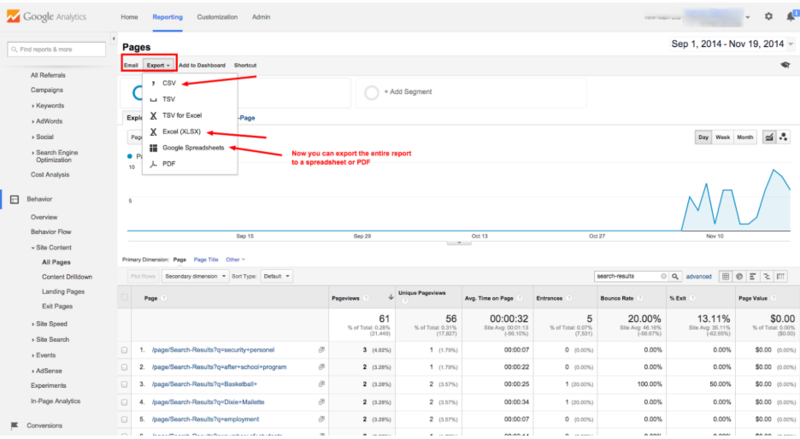 The third and final step in setup is to update the web properties in Google Analytics. To update your web Property Settings, go to: Admin > Property > Property Settings. Under Display Advertiser Features, set Enable Demographics and Interest Reports to ONâ€‹. This is controlled by the school, and is most often a Podium issue. 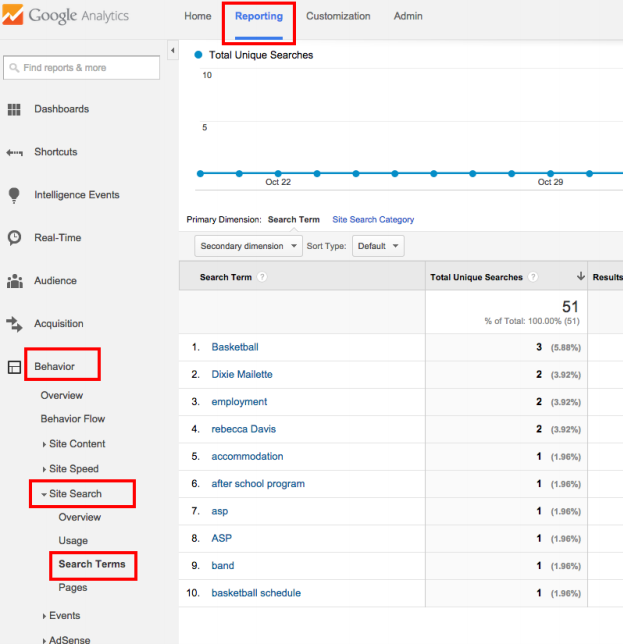 Schools can track the hits to the Ad in Google Analytics, but the results received are not desirable. The first thing to do is to use the Google search engine and search for the school name to see if the Ad comes up. If so, hover on the Ad link and see where it’s pointing. Then, click on it and see where it goes. Sometimes, it doesn’t even go to the school’s site [you would need to fix the ad to point it to the right place]. 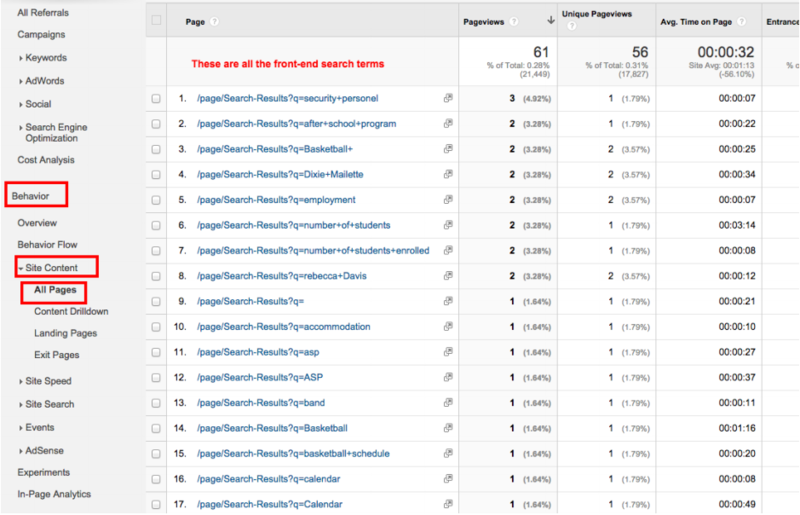 In Podium, Google Analytics is tracked on all pages, just like in onMessage. But often, a Podium site has a custom-coded home page that does not include the Google Analytics tracking code [which is set up by default to all pages in Core, EXCEPT custom-coded pages]. Sometimes, the Adwords link goes to the home page [without the GA code on it], which can cause tracking problems. More often, another issue is that the Adwords Ad goes to the root Podium URL only [www.schoolname.org/podium/default.aspx], which will now redirect to the App login screen [myschoolapp]. Podium URLs have to include the “?t=######” after the root URL in order to go to an actual page. If the “?t=” is missing, constituents will be redirected to the App. The school will need to set up a custom URL and point the Ad to that page instead of the root Podium URL. For example, the Ad needs to point to “www.schoolname.org/Admissions” to ensure the Ad user will actually arrive at the correct page. When the custom URL is set up, it will point to the proper Podium page with the “www.root.URL/podium/default.aspx?t=#####”, arrive at the correct page, and track the correct page. Thus, the Ad will be most effective for the school.